Just ur Health Drug Free Disease Free Healthy Life. Acupuncture can increase the chances of getting pregnant for women undergoing fertility treatment by 65%, a review of the evidence concludes today. To establish how effective the treatment is, doctors in the US collated evidence from all relevant, well-conducted studies and published their conclusions in today's British Medical Journal. Eric Manheimer, research associate at the centre for integrative medicine at the University of Maryland school of medicine and colleagues looked at seven studies. All had been published in English since 2002 and conducted in four different western countries. The trials involved 1,366 women undergoing in vitro fertility treatment - where eggs and sperm are removed and mixed in the laboratory and one or more resulting embryos returned to the womb. 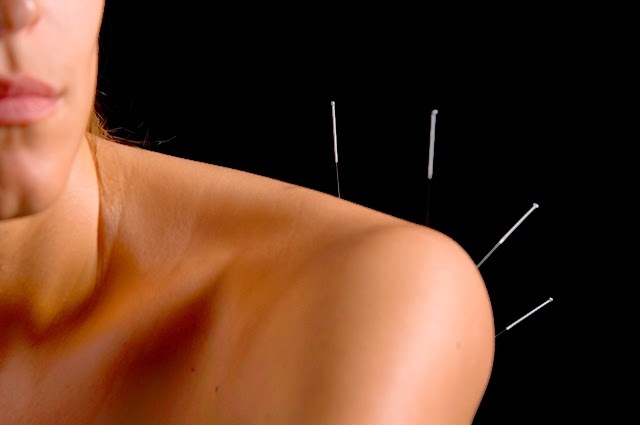 In the trials some women were given genuine acupuncture, others "sham" acupuncture, such as putting needles in the wrong places, and some no treatment at all. Overall the genuine acupuncture improved a woman's chances of pregnancy by 65%. 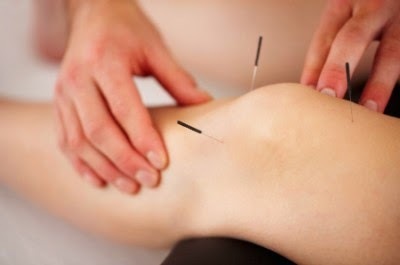 If you suffer from knee pain, you should know that recent studies support the relief of osteoarthritis symptoms via acupuncture. In fact, in one Scandinavian study, 25% of patients cancelled their plans for knee surgery after they received acupuncture treatments. Acupuncture, the ancient Chinese practice of inserting needles into the skin in order to regulate and balance the flow of “chi” (life force) throughout the body, has been gaining increasing acceptance internationally as an effective treatment for a broad range of conditions, including knee pain. Acupuncture is painless. It will likely take many sessions before you see a true, lasting difference. The reduction of pain is its best use. 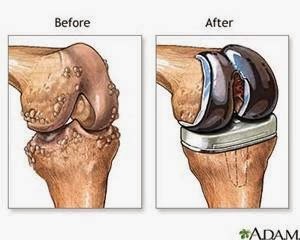 During the past year I've seen several patients after total joint replacement surgery. Acupuncture helped relieve pain and assisted their progress towards regaining strength and range of motion through better performance during physical therapy sessions. There were no cases of infections and the scars healed well. A study was conducted by Raj K. Sinha, Deidre Braun, and Robert Murphy and published in the Journal of Bone and Joint Surgery - British Volume, Vol 90-B, Issue SUPP_I, 184. They concluded that acupuncture indeed "reduced narcotic usage and improve physical therapy after total joint replacement." More studies need to be done on this subject, but my experience has been so positive that I encourage those needing joint replacement to seek treatments from a licensed acupuncturist for help with pain relief and optimal healing. The new study says Acupuncture may be a low-cost alternative — not to mention a non-invasive one — to knee surgery. It comprised 90 patients (average age: 71) who had group acupuncture in 2008. Their progress was tracked for two years. Surgery can be effective, yet it is far from perfect. It’s estimated that one in seven patients feel severe pain return years later. Instituting local pain management (heat, cold, and topical analgesics). We offer specialized treatment for patients, who are suffering from knee joint pain-osteoarthritis, which is also known as degenerative arthritis or degenerative joint disease. Osteoarthritis is one of the most common forms of arthritis usually occurring after middle-age. It is a group of mechanical abnormalities that involve degradation of joints, cartilage as well as sub-chondral bone including articular movements. Many therapies has been introduced yet now for Knee Joint Pain-Osteoarthritis. 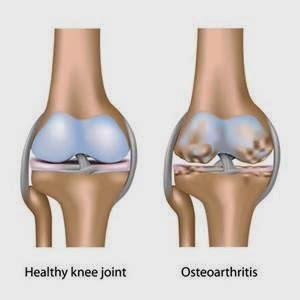 Therapy prescribed by us has been shown to be more effective than medications in treating osteoarthritis of the knee. We deal with this severe problem by acupuncture and scanning system. Acupuncture seems to produce long-term benefits. We do care of your health and wish painless life. In 2005, ex Justice O P Garg was suffering with serious spine problems. The degenerative effect due to growing age was obvious as he was sixty five then. He consulted score of eminent doctors including Ortho-Neurosurgeons and the entire were unanimous on the point that deep and intensive surgery was the only answer. He was in the hospital when he learnt that the results of surgery was not 100% guaranteed. In the worst case, it could even lead to paralysis. This made him worried and he made up his mind not to opt for surgery. However, was this going to be the end of a physically fit life? At that stage, some of his well wishers told him that acupuncture was the panacea for such an ailment and recommended Dr B S Taneja. He did acupuncture therapy for four months with intermittent intervals and began feeling better as the pain due to his aliment reduced dramatically. This quick results made his right leg pain free Earlier the pain was difficult to bear when he used to stand and also while he walked . He felt the Sciatica pain in both my legs, right from his lumber region down to his toes. He was simply amazed to see what acupuncture had done in his case and considers this to be a new lease of life. 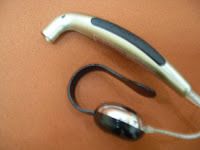 In his case along with the improvement in his mobility, there was an improvement in his eyesight due to the effect of the treatment he was taking. He had poor eye sight since he was young and had been using high power reading glasses. In the due course of taking acupuncture regularly, he found that his sight was improving gradually at the age of seventy and there were no explanations by the optician for this development. He wishes to share this to inculcate belief and faith in the holistic science of acupuncture and assure those who may be interested in this methodology to avoid surgery, if they can as the latter course has serious repercussions on the future well being and health. Surgery is an option when one has exhausted all the holistic methods. More often than not, everybody has to suffer the pain and sometimes it may be for a longer duration. To manage the pain is an art and acupuncture is one of the potent tools of management. Now, he regularly plays Golf and is sure he would be able to live a completely normal life till the end. He firmly believes that one needs to be active physically and mentally always to remain fully active and free of depression and tells all golfers “Do not abandon the game. He who plays golf regularly keeps sickness at bay”. We may not all be golfers but we have many lessons to learn from him. Basically, whatever one’s interest is, one needs to live life with complete vigour till the very end. This will make us happy and this happiness shall reflect in all aspects of one’s life. Jamuna Rangachari is a writer and author based currently in New Delhi, India who is also responsible for the website of Life Positive. Her main interests include positive values, spirituality and holistic living. She has authored five books and blogs at www.jaiijoy.wordpress.com. ACUPUNCTURE RELAX ME THERAPY ( A.R.M.T) Sleep well without sleeping pills. Sleep well without sleeping pills. Best stress relief Unique Method developed by Dr.B.S.Taneja M.D.Acu Gold Medalist almost thirty years ago to help his patients combat the stress in their daily life. Physical: overwork, eye strain, repetitive motion etc. Chemical: any substance entering the body via the digestive system:-as preservatives, adulterated foods, toxic drugs oral or inject able trace elements in water or pollutions by air which affects the lungs. Emotional: fear, anger, sadness, obsession, depression etc. The human body is designed to handle all types of overstress at a time, but in today's society, we often have many overstress affecting us at the same time for long periods without respite. This compromises our immune systems and knocks the balance of energy out of whack, leading to disease. Break up old patterning in order to allow the system to return to normal. Re-balance the organs to stimulate proper functioning of the system. Calm the mind and spirit in order to relax, refresh and reinvigorate ourselves. This is a painless process which takes only half hour lying face up on a table. People are not required to disrobe. Most people report the benefits lasting from several days to several weeks. 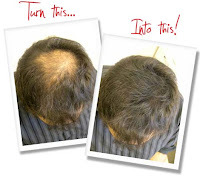 It is recommended that people have this done twice or thrice a month as require for best long-term effects. N.B:- Proper assessment: Before anything can be done to help you with your health issue, you need to be properly assessed to find the best course of action. This means taking the time to thoroughly examine you and asking you a series of questions to understand exactly the type of treatment that you need. Before A.R.M.T every person will have to be assessed with ACUSENS SCANNING to find out individual body energy flow in the different organs. During the era of the Cold War, the competition between Russia and United States were tense in any field including the Astrospace station and the health of the astronaut. Russia organized a research team and invented the long-distance automatic reflecting diagnostic system. Through the body health supervision of the astronaut, and the transmission of the fresh health report to the research center, the health situation of astronauts can be easily reflected. Then medical professionals gave them suggestions on how to stay healthy. This is the so-called automatic reflecting diagnostic system. Automatic Reflecting Diagnostic System was bulky, expensive and it takes a professional medical doctor fluent with meridian points to interpret the results. Therefore, in the late 1990s, a lot of research was done in Taiwan to come up with a testing system that incorporated Dr. Volla's technology and the Traditional Chinese Meridian points and acupuncture, in a small enough package that is affordable for the average person and also the results are interpretable to the average person. 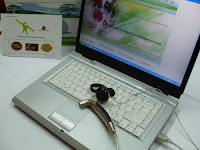 The bioelectric current, which is released by the meridian and the acupoint in the human body, can be read by the sensor connected to the computer and be statistically analyzed and correlated with the millions of clinical data records of the Data Center and the resulting report will be sent back to the computer. With thedata being accumulated and revised continuously, the resulting report will be more and more precise and accurate. 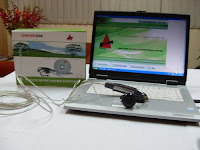 has been tested on millions of patients in several countries before commercialization.The device is based on ELECTRO-DERMAL COMPUTERISED SCREENING SYSTEM used in ECG and alike machines. 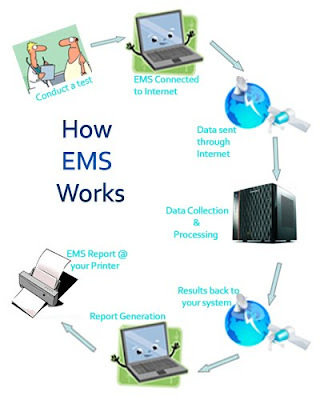 EMS uses a Computer, a Sensor and an online database network, which helps the user to collect information of the examinee / patient and then exchanges the data collected with an online database. The System then correlates the data with existing information on meridian points and what they represent. The corre -lated data received from the database gives a comprehensive description of the patient’s health status. can be effectively used in Hypo health check up and pre disease check up of all vital organs of the body.Medical practitioners in any area of health management including Allopathic , Homeopathy, Ayurveda or naturopathy find this device of great value. This saves time required in getting closer to the real issues behind patients discomfort and ailments through picking up signals from the body and converting them in electro graphs. The findings of the organs health status gets mailed to the central server and reports get generated and mailed back. 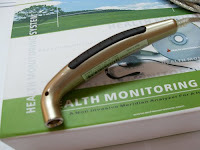 The Doctors using this device find the accuracy levels up to 95%.This is well accepted by the patients since this is completely non invasive and saves lot of inconvenience and the costs. This being working on Tele-Medicine principals, Doctors can get the test done from remote locations and get the report on their desk . Meridians is the path of running Qi (energy) and Blood, connection zang-fu viscera, communication inside and outside, and run through top and bottom. It is from the techniques and doctrines of Traditional Chinese Medicine (TCM), including acupuncture, acupressure, and qigong. According to these practices, the body's vital energy, "qi", circulates through the body along specific interconnected channels called meridians. There is no physically verifiable anatomical or histological proof of their existence, though research has shown how transmission of information experienced as qi could be possible through the subcutaneous fascia. In Traditional Chinese Medicine (TCM), patterns of disharmony (i.e, bad health and emotional disorders) in the body are thought to be caused by disruptions of the body's energy flow along a series of acu-tracts. To correct those disruptions, specific points on the meridians called acupoints are stimulated via needles, burning incense cones (moxa), applying pressure or other means. The Standard Acupuncture No menclature published by the World Health Organization listed about 400 acupuncture points and 20 meridians connecting most of the points, however by the 2nd Century CE, 649 were recognised in China. Such 20 meridians are usually called the "12 standard meridians", with each meridian corresponding to each organ; nourishing it and extending to an extremity. There are also "8 extraordinary meridians", two of which have their own sets of points, and the remaining ones connecting points on other channels. The twelve standard meridians go along the arms and the legs. They are: Lung, Large Intestine, Stomach, Spleen, Heart, Small Intestine, Urinary Bladder, Kidney, Pericardium, Triple Warmer (aka Triple Heater), Gall Bladder, and Liver. These terms refer to biological functions and not the structural organ, which is why there are some on the list with no corresponding anatomical structure . The bioelectric current, which is released by the meridian and the acupoint in the human body, can be read by the sensor connected to the computer and be statistically analyzed and correlated with the millions of clinical data records of the Data Center and the resulting report will be sent back to the computer. With the data being accumulated and revised continuously, the resulting report will be more and more precise and accurate. O.P Garg former Judge, High Court Allahabad, called me for backache treatment. He is suffering from Osteoporosis of spine. MRI report of Lumber sacral spine shows diffuse disc bulg of multiple discs suggests L3-L4.L4-L5 & L5-SI (worse at L4-L5 level) with significant compression of the casac & both existing nerve roots along with degenerative changes grade I /II at all levels. He was previously not able to go even for a small walk to nearby garden because of pain and low strength in legs. After 40 days of treatment he is about 70% free from pain. During treatment a Miraculous effect of Acupuncture happened i.e. patient’s eye sight improved because of common Acupuncture point on his back stimulated to give muscular relaxation which is used in case of Diminished Vision condition. I have received Email from Justice O.P. Garg about his experience with Acupuncture therapy. It is heartening to put on record that I have been immensely benefited by Acupuncture, in the methodology and practice of which you are an expert. The way you treat the patient, understand his problems and the precision with which you apply the needles at the specific points using the measuring scale and activating the points by stimulator is highly commendable and appreciable. I am suffering with serious spine problems. The degenerative effect due to growing age is obvious. I consulted score of eminent doctors including Ortho-Neurosurgeons and the entire are unanimous on the point that deep and intensive surgery is the only answer. Somehow, my conscience did not allow me to undergo surgery as I was assured by some of my well wishers that better than surgery, acupuncture is the panacea for such an ailment. You have applied acupuncture therapy on me for the last few months with intermittent intervals and I feel better as my aliment reduces . This quick results made my right leg pain free , though earlier the pain was difficult bear when I use to stand and also while walked . I felt the Sciatica pain in both my legs, right from my lumber region down to my toes. Now the pain is only on the right side. It is also diminishing very fast and I trust and believe that after a few more sittings the pain will disappear completely. I am simply amazed to see what Acupuncture has done in my case, it was simply a miracle. Along with the major problem there was a improvement in my eyesight due to the effect of the treatment I was taking. I have a poor eye sight since i was young and i have been using high power reading glasses. In the due course of the said treatment i found that my sight was improving gradually at this age of seventy and there were no explanations by the optician for this development. I am putting all these facts on record with a view to inculcate belief and faith in the holistic science of acupuncture and assure to those who may be interested in this methodology to avoid surgery , if they can as the latter course has serious repercussions on the future well being and health . Surgery is an option when one has exhausted all the holistic methods. More often than not, everybody has to suffer the pain and sometimes it may be for a longer duration. To manage the pain is an art and acupuncture is one of the potent tools of management. Dr. Taneja , I have all praise for you and wish that with your dedication and scene of duty you would be successful in your mission to ameliorate the condition of all those who are in agony of acute and suffering .
" Now I Can Play Golf "
This is in reference to my previous communication. You know I am under your accupuncture treatment for the last one year and have undertaken morethan 150 sittings with usual breaks. I am delighted to disclose that inspite of the fact that very eminent and senior doctors of repute all over the country whom I have consulted have advised me in an unanimous tone that I have to undergo spine operation, there has been a stark and radical change in my condition on account of accupuncture treatment. I had, on medical advice, stopped playing Golf which has been my ardent passion for the last more than a year but now you will be delighted to know that I have again resumed the game with full vigour. It has been due to your expertise and deep knowledge in the field of Accupuncture. I congratulate you for the devotion, sincerity and concern in your mission to ensure the welfare of your patients. I have defied the suggestion of undergoing major and hazardous surgery which was said to be immediate only on account of my unflinching faith in Accupuncture therapy. I wish you disseminate my example for the benefit of all who may be sitting on the fence - thinking whether to take up Accupunture treatment or not. Mrs. Suman Mishra came to my clinic in June 2007 . Her age was 54 years and suffering from pain in both the knee joints. Degenerative change in knee joints ( osteoarthritis ) for the last 12 years. She was suffering from acute pain in both the Knee joints for the last one and half year. She was not able to walk because of Acute pain. After 20 sittings of Acupuncture Treatment she says “Now I can walk easily and is feeling 30 % improvement.” After 3 months treatment she was able to walk easily. Now after one and a half years. I received this email of her well being . As you are very much aware of my wife Mrs. Suman Mishra’s case, how long & how badly she was suffering / fighting from Arthritis pain, one by one both the Knees effected from 1995, March 2007, she can not stand properly. After several treatment, from long time, We came to your clinic for Acupuncture treatment, I remember very well your words “Don’t worry She will be alright but its take time” & now she can walk without stick comfortable. Sir, we are highly appreciated to your good efforts. Thanks to you & God.God Bless you. Mrs Sheela Krishna age 61 years came to my clinic, suffering from Cervical Spondylosis and Hypertension. Her neck pain due to carvical spondylosis radiate from shoulder to elbow joint . After taking pain killer for six months with no relief she decided to start acupuncture treatment because her husband got relief from knee and hip joint osteoarthritis with the help of acupuncture treatment . During treatment for cervical spondylosis she got relief in hypertension condition because of common acupuncture points used in hypertension and cervical spondylosis. Her hypertension medication reduced substantially. I have received her email of her well being. After I got the treatment done from you, initially there was not much relief but later my shoulders felt much better. And I was able to lift objects and do all kinds of household work. Recently, with the start of winters the pain has returned again although it is much more controlled this time. I am doing exercises - but I need to be more regular with it. 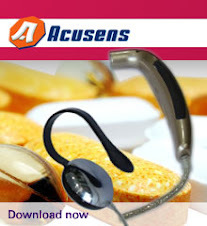 Overall, the treatment helped me to reduce my shoulder pain. Greetings for the day, I hope this mail finds you in the best of health. I am really grateful and thankful to you for the treatment you had administered on me. I was suffering from severe pain in the back of my neck and in my leg joints. With my age being 68 years it was very difficult to even do the day to day essential works. I was not able to stand and walk because of the joint pain. Even sitting was very difficult as whenever I tried to sit my neck starting paining heavily and I have to stand up or else lie down. I tried all the medicines and many doctors in alopathic and homeopathic. But none of them was successful in controlling or even decreasing the pain. Then I decided to come to Noida, where my Son and daughter-in-law live, for further treatment. During the first few days of stay in Noida, my son got the reference of yours, Dr. B. S. Taneja. He came to know from various sources that you specialize in the cure of acute and chronic pains through acupuncture. My son decided to consult you. Even I had strongly believed in acupuncture and since that very first day, when we first visited your clinic in Noida, the results of the treatment started showing and there was gradual and continued improvement in pain. Dr. You have been very supportive and understanding. You even started coming to my home for administering the treatment as my condition did not allow me to travel daily. Within first 20 sittings I started feeling much better. I also again started taking morning and evening walks. The pain was reduced by 60%. In the next 10 + 10 sittings, my pain was reduced by almost 80 – 85%. Your treatment has been like a wonder drug for me. And the best part was that the treatment did not have any side effects. Dr. I really feel short of words for showing my gratitude for the treatment given by you. I would like to remain in touch with you for ever and would feel proud to refer my friends and relatives to you.